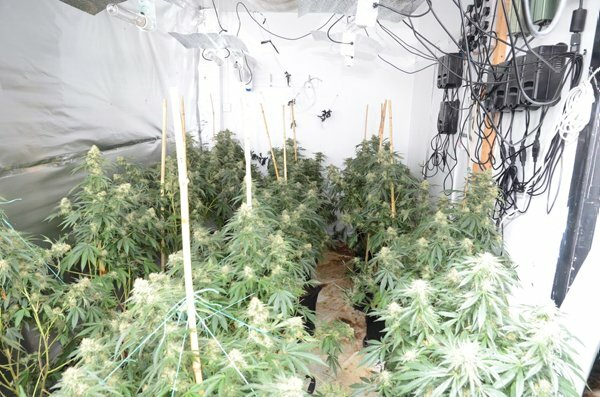 T‍he cannabis factory discovered by Police in the Claremont area of Blackpool this week. So close to harvest time, the growers must be gutted. Looks like that place is a hotbed for up and coming potheads. ‍They used to catch them by heat sensing aircraft flying over and monitoring big spikes in the electricity bills over here. That looks a professional set up. Probably too technical for the local youths. I heard a while back that the mancs send their guys down to set these up in bedsits and one bed flats. No come backs if your grow is sussed either. ‍Do we think it should be legalised in the UK? ‍In my youth, would have said yes. Now I'm not so sure. I get the fact it would stop criminal gangs but would it lead to more people smoking it. Tough one. ‍Would it stop criminal gangs? Would they not just go onto the next most in demand illegal drug to make their money? Presumably cocaine. Or do you see them really thinking their game is up and going to open a little weed shop in the high street? The matchday threads are saved!